The AIIA bids farewell to its National Executive Director, Melissa Conley Tyler, after 13 years. The following is an edited extract of remarks by the National President of the AIIA, Allan Gyngell AO FAIIA, at a farewell for Ms Conley Tyler at the National Office, 21 March 2019. It’s a remarkable accomplishment to successfully occupy the position of Executive Director of a great national institution like the Australian Institute of International Affairs for thirteen years. We are here tonight to celebrate that achievement by Melissa Conley Tyler, following her decision, which we greatly regret but fully understand, to move on to new experiences. Melissa leaves behind her an organisation very different from the one she came to all those years – and four National Presidents – ago. 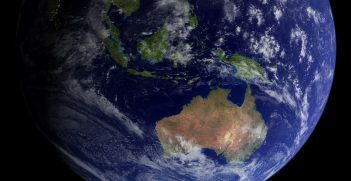 The Institute is much better positioned than it was when she arrived to fulfil its mission of informing and deepening the understanding of the Australian community about the huge international challenges we face. 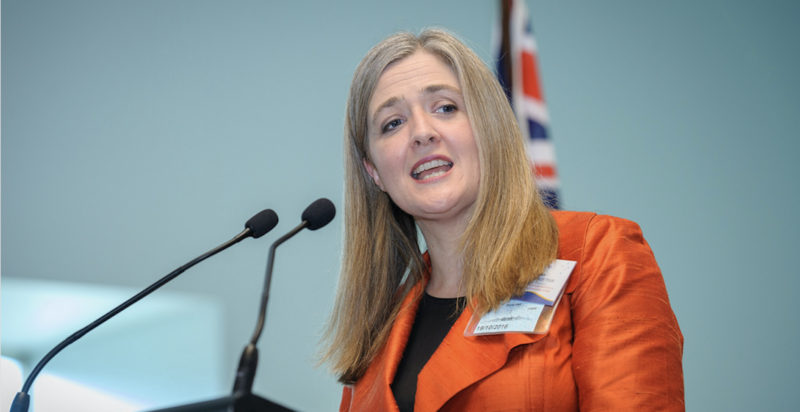 The reforms she has driven and the changes she has introduced in the National Office have made the AIIA more resilient nationally and more influential internationally. She has continued what has been a formidable record of leadership by women in this Institute. Our first full-time national executive officer, appointed in October 1945, was Molly Kingston, a Sydney lawyer then working with the Women’s Auxiliary Air Force. She was, in James Cotton’s words, another “highly committed professional.” Like Melissa, she came to the job at a critical time and did an enormous amount to raise the profile of the Institute. She helped found and edit Australian Outlook, which was then our journal, and she built our network of international linkages. Then, from 1951 to 1975, the remarkable Nance Dickens was the Victorian and Commonwealth secretary and executive officer of the Institute. During those years, she was, in the words of John Legge in his history of the AIIA, “the one continuing element in the work of the national organisation.” She was also my own first introduction to the Institute, when I was a schoolboy attending meetings in Melbourne. This is an important institutional history to which Melissa has contributed just as significantly. She has brought professionalism, passion and commitment to the job. That’s not easy when you are working within the complexities and tight resources of a community-based, federally-structured organisation like ours. Civil society may be a fundamental strength of our democracy, but there’s no doubt it’s hard work. Melissa has been responsible for drawing into our orbit an amazing group of young people. Without our interns – and Melissa’s meticulous training – we couldn’t have achieved half of what we have. The fact that so many current and former interns are here tonight is a testament to the influence she has had on the younger generation of Australians who will increasingly shape the actions we take. She has been a strong patron and supporter of other women, including by ensuring that the pages of our Australian Outlook blog are open to new voices and approaches. She has been a prime mover of the Institute’s successful social media engagement. At the same time, she has helped consolidate the leading position of the Australian Journal of International Affairs as a scholarly journal. The National Conference and the series of master classes that go with it have become an important feature of the national discussion about international affairs. The regular participation of ministers and shadow ministers, senior officials and business people owes everything to the energy Melissa has brought to the cause and to her impressive ability to attend simultaneously both to the big picture and the fine detail. 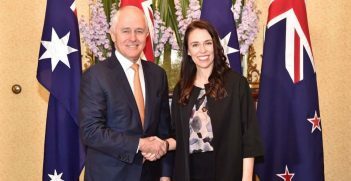 She has successfully built up the Institute’s linkages with the members of the diplomatic community in Canberra, opening up opportunities to work with many of them in a series of conferences and dialogues. She has done an enormous amount to engage the Institute with similar bodies in other parts of the world. The AIIA’s selection by the University of Pennsylvania’s Think Tank Index as a top think tank in Southeast Asia and the Pacific is tribute to the work she has done and the networks she has built. It’s never easy to move on from an organisation with which you have been closely associated and which you have shaped so directly. The legacy for any of us is what we leave behind. Melissa can be justly proud of her legacy. Whatever lies ahead, we know that Melissa will make a continuing contribution to the mission that drives the Institute – how Australia should best engage with a world changing so fast and in so many different ways. I am delighted that she will remain connected with us as an AIIA presidential associate. On behalf of the national executive and all those who have worked with Melissa over the past thirteen years, I express our deep thanks and our warm wishes for the future. A New Hope in Japan? 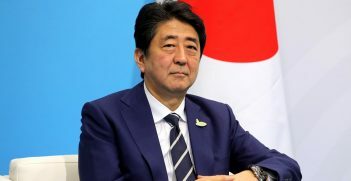 The sudden emergence of a new political party has complicated Japanese Prime Minister Shinzo Abe’s plans for an easy election. What will the post-election political landscape look like?